Have you held a full licence for 4 years? Do you want to earn up to £800 p.wk? Are you presentable and professional? Our Driving Instructors are the key to our future – we want you! You have to be enthusiastic, get on well with people from all walks of life and be prepared to study. Be presentable, professional and make a good impression on us. There is no age limitation – 21 years+ (except that you have had a fairly clean Driving licence for at least 3.5 years or more). You will have to pay your own exam fees to Driving Standards Agency, but these are only £90 for Part 1, £111 for Part2 and £111 for Part 3 exams. You will also have to buy, or borrow from your Library, the DSA’s recommended reading books. A home study course for the Part 1 exam, structured so that you can complete most of it in your spare time at home with visits to our office for progress checks and test exams. Up to 12 hours of in-car driver training – to develop your Driving Skill to the standard required to pass the Part 2 Driving Test. 40 hours of in-car and classroom training in how to teach Learner Drivers. 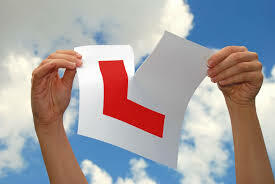 A one day induction course – to prepare you to work as a successful Driving Instructor.